Welcome to episode 68 of the LJS Podcast where today we are asking talking about how to compose a jazz solo from scratch. 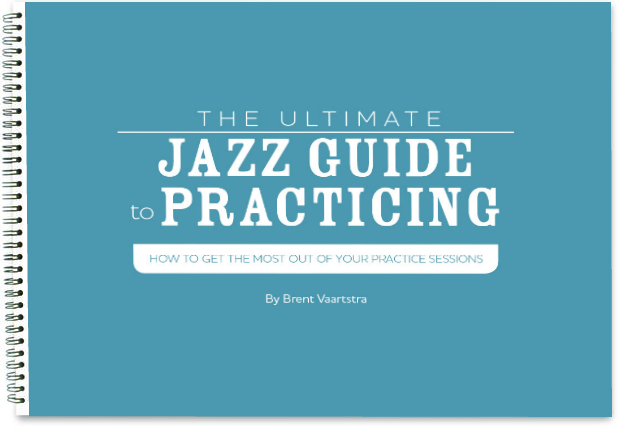 Podcast host Brent Vaartstra composes a jazz solo live on the show and walks you through his process of building a jazz solo he would love to improvise. Listen in! It can be a really great practice to eliminate improvisation altogether and take the time to actually compose a solo. When you do this, you get the opportunity to imagine a solo that you would like to play. It can help you develop a language of your own and affirm some of the jazz language you already know. 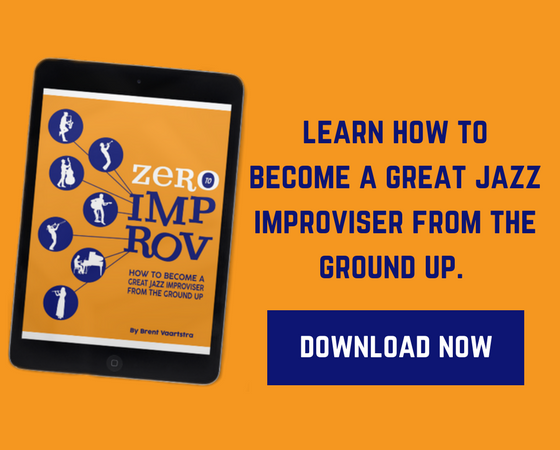 The idea is not to play your solo verbatim when you improvise over a jazz standard, but that you take the time to intentionally play lines that you would like to internalize. In this lesson Brent composes a solo over It Could Happen to You. Follow that link if you would like to follow along to a chord chart. How composing a solo can be helpful for your improvisation. Brent walks you through his compositional process. The final product! Listen to the playback of the entire solo from start to finish. Challenge: Compose your own jazz solo, make a video and share it in the comments section below! Appreciated the podcast. What software did you use? You were able to seamlessly add each new section of the solo without any gaps or hiccups. Hi thanks for listening! I use ProTools to record my podcast and I was simply splicing up a backing track and recording over each section. Hope that helps! Great podcast! listening to the process is incredibly helpful and insightful. Hi Thomas, thanks for listening and glad you found this helpful!